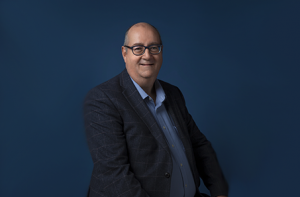 Owen joined ALCS in 1997 having previously spent 10 years working in Hong Kong in IT consultancy developing bespoke solutions for the publishing and book industry. Owen was initially responsible for the design and development of a new bespoke royalties system which was successfully implemented in 1999. He became Head of Operations in 2000 and has overseen the doubling of royalties collected and paid to authors over the past 8 years. 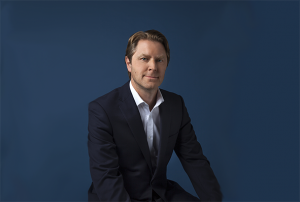 Owen became Deputy CEO in 2004 and CEO in 2006. During this time he has been involved in international projects regarding information and repertoire exchange, as well as working with data standards groups on the development of identifiers. He is also involved in lobbying and campaigning in support of authors’ rights and raising the profile of writers in both the UK and EU, raising issues with ministers and MPs on the value of creators to the Creative Economy. Owen is married with 2 lively children and lives in Surrey. Barbara started her career in direct marketing. 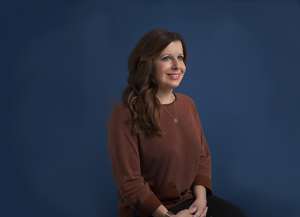 Having spent seven years in the US designing and marketing properties, she returned to the UK to work within the International Department of a major multinational HR consultancy. Barbara joined the Authors’ Licensing & Collecting Society in January 2004 where she focussed initially on HR. She then took over responsibility for Communications and Membership, looking at ways in which ALCS raises its profile amongst the membership, potential members and the public in general and devising successful marketing and membership recruitment strategies. She has also been involved with the work of the All Party Writers Group, seeking opportunities to bring issues regarding writers to the attention of the appropriate parliamentarians. 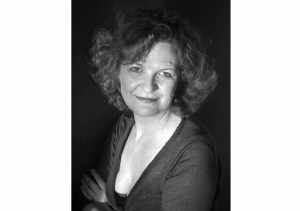 Barbara represented ALCS for a number of years on the Board of The Society of Audiovisual Authors (SAA) or Société des Auteurs Audiovisuels. In November 2015 Barbara became Chair of the SAA. In 2016 Barbara became Chair of International PLR. Alison joined ALCS in 2000 as a ‘royalties administrator’, took the role of membership secretary shortly afterwards, and moved into the communications department in 2004. In 2014 she became Head of Communications at ALCS. Alison has a CIM marketing diploma, is a qualified project manager and has a background in visual arts. Her team at ALCS have overseen the development of several websites, organised more than 15 AGM’s around the country and sent several million copies of ALCS News to members via email. She’s been asking members to give ALCS their email addresses for the last 15 years and hasn’t given up yet. Her spare time is mainly devoted to chasing her 2 year old around a park. Richard joined the ALCS legal team in 2002, having previously worked in private practice, and became Head of Rights and Licensing in 2007. His work at ALCS focuses on the development of collective rights and licensing schemes in the UK and internationally, aimed at providing writers with fair remuneration for the re-use of their work. This role involves a significant degree of partnership and collaboration with other UK writers’ organisations and licensing bodies as well as authors’ societies and collecting agencies around the world. 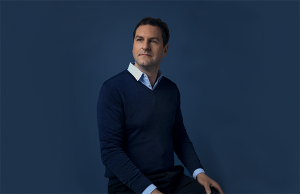 Richard’s department is also responsible for engaging with UK and EU policy on copyright and authors’ rights – an area of growing prominence on the political agenda – by drafting responses to government consultations, preparing Ministerial briefings and setting the agenda for the All Party Writers’ Group. Richard represents ALCS on the Boards of the British Copyright Council and the Educational Recording Agency, of which he is currently Vice-Chair. 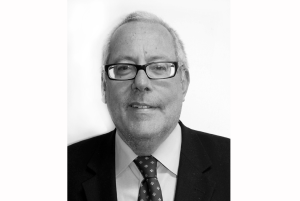 Alan joined ALCS in 2003 as Manager of the Print Media Department, with responsibility for the distribution of CLA and Public Lending Right income, managing the database of members and their repertoire, and overseeing the author research team. He was subsequently made Head of the Licensed Works Department in 2008. 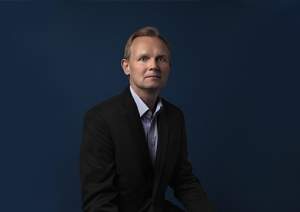 He became ALCS’ Chief Operating Officer in 2013 overseeing the Licence Income, Distributions, Data and IT teams, with overall responsibility for the receipt and processing of UK and International licence income, distribution of royalties to members and reciprocal societies, data services and IT systems. Alan sits on the Distributions and Membership Committee, whose function is to set ALCS’ operational strategy, review all policies and procedures with regard to the collection and distribution of income, the procurement and processing of data and all matters relating to ALCS current and potential membership. He represents ALCS on a number of international groups, including the CISAC CT-DLV (Dramatic, Literary & Audiovisual Technical Committee), IDA Management Committee (International Database of Audiovisual Works) and the CISAC Audiovisual Experts Group. Alan is a graduate in English Studies and has a Masters in Linguistics. Mark is a member of the Chartered Institute of Management Accountants and a graduate of the University of Kent. He is also a non-executive director of Ignite Film Fans. After many years in retail and FMCG (latterly as UK Finance Director at Fosters), Mark spent the next thirteen years business partnering the owners of complex, fast-growing, entrepreneurial SME and start-up businesses in media and multi-site hospitality. Having joined ALCS in 2015, Mark looks forward to dealing with a new set of complexities in a fresh environment (and meeting lots of authors!). In April 2017, he became Group Chief Financial officer for both ALCS and the Copyright Licensing Agency. Tony Bradman is an award-winning author of books for children of all ages. He published his first books in the 1980s, soon became active in writers’ organisations, serving on committees for both the Society of Authors and the Writers’ Guild, and has twice been a member of the Advisory Committee for Public Lending Right. He served as a Director of ALCS between 2007 and 2013, and returned to the company as Chair in 2017. He also served as a Director of CLA between 2008 and 2014, and is currently Co-Chair. Tony has edited many anthologies of short stories and poetry, and reviewed children’s books for The Daily Telegraph, The Guardian, The Times Educational Supplement and various specialist journals. In 2008, he helped set up The Siobhan Dowd Trust, a charity that makes books available to under-privileged children, and was Chair of the organisation until 2018. Faye is the author of two Young Adult novels – My Second Life and What I Couldn’t Tell You. 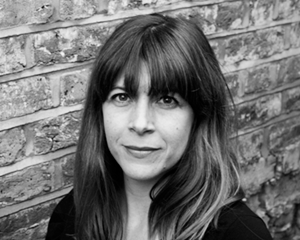 She worked in Television for over 10 years as a Literary Agent at The Agency (London) Limited and Talkback Management representing scriptwriters in drama, children’s and comedy before becoming a writer herself. She regularly visits schools giving talks and running workshops on creative writing for young people, and has been part of the Schools Outreach Programmes for both the Edinburgh International Book Festival and the Bath Children’s Literature Festival. She has also presented workshops for Booktrust and the National Literacy Trust on inspiring reluctant readers. Both of her books were well received and shortlisted for several children’s book awards, including the NE Teen Book Award 2014 and Lancashire Book of the Year 2017. 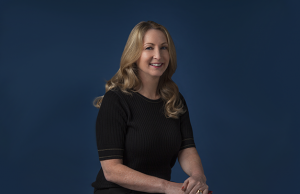 Faye joined the ALCS board as a Non-Executive Director in 2017. 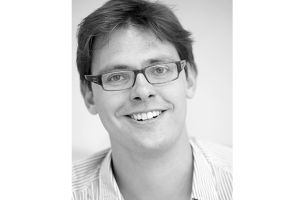 Dr Tom Chatfield is a British writer, broadcaster and tech philosopher. The author of six books exploring digital culture – most recently Live This Book! (Penguin), How to Thrive in the Digital Age (Pan Macmillan) and Netymology (Quercus) – his work is published in over two dozen languages. Tom is interested in improving our experiences of digital technology and in better understanding its use in policy, education and engagement. Most recently, he was a Visiting Associate at the Oxford Internet Institute, researching a new book on critical thinking. Past collaborators include Google, the BBC, Channel 4 Education, Mind Candy, Shift, Flamingo London, Six to Start, Preloaded, Firefish, Future Lab, Sense Worldwide, SAGE Publications, Sugru and Allianz. Jonathan is a freelance writer, lecturer and broadcaster working mainly for the BBC and Middle Eastern television channels. 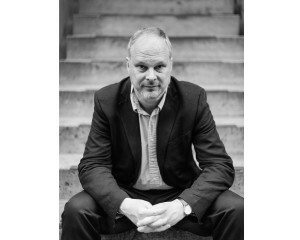 He is the author of 15 non-fiction books and contributes to a wide range of publications including the Guardian, Turkish Review and the Oldie. Since 1993 he has taught a course in Cultural Expression at London University’s School of Oriental and African Studies (SOAS). Though based in London since 1981, for seven years he was a journalist in Brussels covering the European Institutions. He is a longstanding member of the governing Council of the Alliance of European Liberals and Democrats (ALDE) and sits on the Federal Executive and parliamentary International Affairs Team of the UK Liberal Democrats. He is a member of the Advisory Boards of both the Centre for Turkey Studies (CEFTUS) and Research Turkey and previously served on the Executive of English PEN. 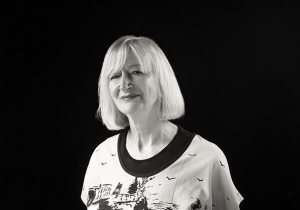 Maggie Geeis a novelist and Professor of Creative Writing at Bath Spa University, and was elected to the Board of ALCS in 2015. She has lobbied for writers, e.g. on the Society of Authors’ management committee, the PLR committee, the British Library’s Authors’ Lives committee, the London Arts Committee and the Royal Society of Literature, where she was the first female Chair of Council and is now a Vice-President. She has written twelve novels, including The Ice People, My Cleaner, My Driver (set in Uganda) and The White Family, a collection of short stories, The Blue, and a writer’s memoir, My Animal Life (2010). Her most recent novel is Virginia Woolf in Manhattan (2014), a comedy which brings Virginia Woolf back to life in New York and Istanbul. Her next novel will feature Neanderthals in Gibraltar and the ‘black’ Goyas. Maggie ‘s books have been translated into 14 languages; in 2012 an international conference about her writing was held at St Andrew’s University, and in the same year she was awarded the OBE for services to literature. She is often to be found tramping the beautiful beaches of Thanet. Joanne Harris is the author of 19 novels, including Chocolat, as well as scripts, libretti, short story collections and cookbooks. Her work has been published in over 50 countries and has collected a number of British and international honours and awards. She is an honorary Fellow of St Catharine’s College, Cambridge, and in 2013 was granted an MBE by the Queen. She has been a judge of numerous prizes, including the Orange, the Whitbread, the Desmond Elliot, the Betty Trask and the Royal Society Winton Prize for Science. An ex-teacher turned professional author, she is currently a member of the Management Committee of the Society of Authors and the chair of the Society of Authors’ Membership Committee. Before becoming a full-time author, Michael Ridpath worked for a bank and a venture capital company in the City of London. He has written fifteen novels: eight financial thrillers, four Icelandic crime novels, two spy novels and a stand-alone thriller, Amnesia. He has been a member of the Management Committee and the Finance Committee of the Society of Authors, he was Vice Chair of the Crime Writers’ Association and he is currently a Treasurer of the Royal Literary Fund. He joined the Board of ALCS in 2017. Di Redmond has written scripts for most of the major broadcasters – Nickelodeon, CBBC, Cbeebies, ITV, CITV, Aardman TV, Channel 4 and Siriol TV Wales, in Europe she’s been commissioned by the Disney Channel, ZDF, KIKA Germany, Universal TFI France, Content Film and TV Finland, KETNET Belgium and RSK Norway, in North America she’s written for HIT NYC, the Jim Henson Company and CBC Canada. Apart from film and television she’s worked for BBC Radio, nationally and locally, and published over 100 books with most of the major publishing houses. She’s written for the stage, has been a successful ghost writer and her on-going work Bomb Girls (a WW2 Saga series commissioned by Penguin) is rated on Amazon’s top 100 bestseller list. Di’s passion for campaigning on behalf of her fellow writers has led her to work with the All Party Writers’ Group in Parliament and the SAA (Society for Audiovisual Writers (SAA) in Europe. Joan Smith is a novelist, columnist and campaigner for human rights. She has published six novels, including the Loretta Lawson series of crime novels and a thriller, What Will Survive. Her non-fiction books include Misogynies, Moralities, Hungry for You and The Public Woman. She has written for many national newspapers, including The Times, The Guardian and the Daily Telegraph. Since June 2013, she has been Co-Chair of the Mayor of London’s Violence Against Women and Girls Panel (now the VAWG Board). She is a former Chair of the English PEN Writers in Prison Committee, where she worked on behalf of imprisoned writers and their families. She is currently chair of Labour Humanists.